This Practical Tax Guide examines the tax treatment of business gifts for business owners. For the tax treatment of gifts made to employees click here. This guide applies to "a person" as in a sole trader, a partnership or a company. The general rule is that there is no tax relief given on the cost of making business gifts, as by default they are treated as Entertaining. However, there are a number of exceptions to this. An item provided in its business in order to advertise to the public generally (e.g. a free sample). An item incorporating a conspicuous advertisement provided that it costs less than £50 and is not part of a series of gifts to the same person which come to more than £50 in that accounting period. No relief is permitted for this type of item if the gift is food, drink, tobacco or an exchangeable voucher. Where a business makes Gifts in excess of £50 or makes a series of gifts to one person exceeding £50 it should account for output VAT on the value of the gifts. If less than this, it is an outside scope supply. Output VAT does not need to be accounted for where a gift is a free sample of the business's product. In some cases, what is advertised as a free gift, will, for VAT purposes, still be a supply in return for consideration and VAT will be payable. In Marks and Spencer plc v HMRC  TC06471, the free bottle of wine in the 'dine in for £10' offer was not actually free. It could only be obtained by paying £10 and taking the required food options. This meant there was consideration for the wine and some of the £10 had to be allocated to standard rated wine: it could not all be zero-rated food. 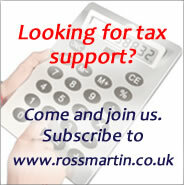 See Discounts, Reward Schemes & Vouchers: VAT. A gift made by an employer to an employee is deductible in the employer's accounts, unless gifts are also provided for others and the gifts provided to the employees are incidental to those. VAT is reclaimable on the cost of an employee's gift. The Trustees of the National Heritage Memorial Fund. A designated educational establishment (S110 ITTOIA 2005 defines this). Where a gift is made out of trading stock, there is no requirement to bring in a receipt for the value of the gift. A cash donation is not a business gift, and so without special rules a gift of cash to a charity will not be tax deductible under first principles - not "wholly or exclusively" made for the purposes of the business. An individual who is a UK taxpayer may make a Gift Aid declaration and then the recipient will obtain tax relief by way of a refund (providing that it has registered with HMRC for Gift Aid). A company will obtain tax relief on a cash donation as a deduction from profits and there are similar conditions which apply as for Gift Aid. Subscriptions paid to trade associations etc are not generally regarded as gifts; they are tax deductible according to the business purpose test. Gifts to staff are allowable on the basis that they amount to "staff welfare" or remuneration, the expense is fully tax deductible for the employer's business. The tax treatment of the gift in terms of employment income depends on whether the gift is trivial, see Employee benefits: gifts. Tax-trap: If input VAT is reclaimed by a one-man owner-manager or for the cost of an event open only to the directors (so other staff are excluded), HMRC will disallow a VAT recovery on the grounds that the motive behind incurring the cost was a personal one. It is difficult to try and disprove that this is not actually the case. It is necessary to consider the nature of the gift in order to determine its treatment for tax purposes. Where gifts are given for the purpose of entertaining they are never tax-deductible. A gift of a product sample is treated as product promotion and advertising merchandise. A gift of alcoholic drink, tobacco, food or an exchangeable voucher is not tax-deductible unless exceptionally it is a trade sample. Gifts which carry advertising - such as stickers, mugs, diaries, tax cards, keyrings, are generally allowable as advertising and promotion costs. A gift cannot exceed £50 per head. Input VAT can be reclaimed on the cost of business gifts. Output VAT is accounted for when business gifts are made to the same person and the total cost of all the gifts exceeds £50 in any 12-month period. No input tax can be reclaimed on entertaining customers in the UK. Input tax is recoverable on entertaining overseas customers and your own staff. Free trade samples are no longer treated as gifts by HMRC. This comes as a result of a recent ruling in EMI Group C-581/08 which indicates that some businesses may be due a repayment of VAT previously accounted for on samples as if they were gifts see VAT on gifts: repayment claims? A specimen of a product intended to promote sales of that product and which allows the characteristics and qualities of the product to be assessed without resulting in final consumption, other than where final consumption is inherent in such a promotional transaction. Gifts to shareholders generally follow the normal treatment for business gifts and no tax relief would be available. Shareholders of close companies could be subject to income tax on the cash equivalent of the gift or benefit, as if they had received a dividend distribution. Up to 5 April 2016 "Trivial benefits" were not found in primary tax legislation (e.g. ITEPA 2003) as they were included in the tax rules by Statutory Instrument. S1300 CTA 2009 - Business gifts: exemptions (companies) - mirrors s47 exemptions as above. ESC B7 - Benevolent Gifts to Traders expired 9/12/2010 and has been largely legislated.